Every day people spend tons of money on freelancers without truly knowing how to utilize freelance content. I want to help you avoid this mistake. Freelance work thrives when people get a return on their investment. Today's post will teach you how to do just that. Great freelancers don't want to continue to take your money without setting you up for success, but the simple matter is, we can't do everything for you. If you hire us to create a book cover, we can't sell the books. If you hire us to write a blog post, we can't drive traffic to your blog. There are specific tasks that you need to do to make your website successful. If you are paying for a freelancer to give you content strategy advice as well as writing content, that's one thing. If you are only paying for my blog posts, though, don't expect my content to move mountains if you are not putting forth the effort to help it get there. So, now that we have done an adequate amount of talking let's get into how you can utilize freelance content the right way. When you want to utilize freelance content, you first need to make some adjustments in how you give out assignments. Here are a few things you can do before you ever give the task to a freelancer that will help you in the long run. If you don't have a goal for your freelance content, how will you ever be able to utilize it? You must have a long-term goal for the content that you are getting freelancers to produce. Otherwise, you are just throwing good money out of the window. What are some goals you can have for freelance content? Whatever your goals are, they will help you utilize freelance content because you will have a purpose for each piece of content you want to produce. Each content piece you produce can have a different goal in mind, just make sure that you let the freelancer know what that goal is. Bottom line: You will speak to a millennial in their freshman year of college differently than you would talk to a senior level executive. Different people respond to text and messages differently. This is why I have a different voice when I speak over on my millennial lifestyle blog The Happy Arkansan than the voice I use here on Amanda Cross Co. If you understand your target audience, you can speak directly to them. Do they do for a living? Is their highest education level? Do they like to do for fun? Social media networks do they frequent? Is their gender, race, age? Length of content are they most likely to read? Music do they listen to? Get to know them, understand them, and get your freelancer to create content that resonates with them. Once you know your goals and your target market, you have to express that to your freelancer. If you want to utilize freelance content, your freelancer needs to know all of the information you have already decided on. Don't expect them to guess or read minds. Be as specific as possible, even if it seems like you are explaining too much. I always like clients who are too prepared versus clients who give you less than a sentence and expect you to fill in the rest. 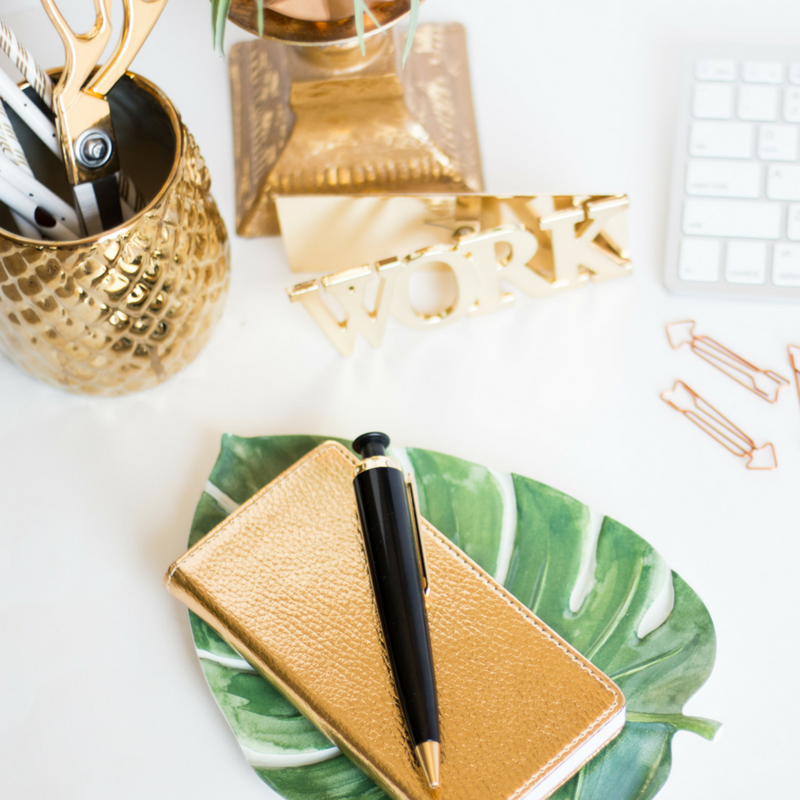 Write out your goals, your target audience, and a synopsis of the exact post you want to be written (unless, of course, you are letting the freelancer pick the topic.) Make sure your freelancer knows as much information about your target market and goals as you can tell them. Even if you have written this robust freelancer brief, your freelancer may still have questions for you. You want to make sure that you are open to answering any questions they send your way. You can't expect to utilize freelance content if your freelancer can't get simple questions answered throughout the process. If they have questions, it's because they want to provide the best content possible for your company. You have done all the pre-work, gotten back an excellent piece of freelance content, and you are ready to post the blog. Now, we are going to focus on the before posting work so you can maximize any freelance blog post you get. Infographics work magic for content. People love to share infographics, and they do exceptionally well on Pinterest. For example, last year I worked with a company called Aventr. I wrote a post featuring ten employee engagement statistics for them, and the post was fantastic, but it didn't do well automatically. A few weeks later, Aventr created an infographic for the post. Today, this post has over 400+ shares on Pinterest. Infographics are great for summing up your content and getting your website noticed. It's a simple trick that will help you utilize freelance content easily and effectively. 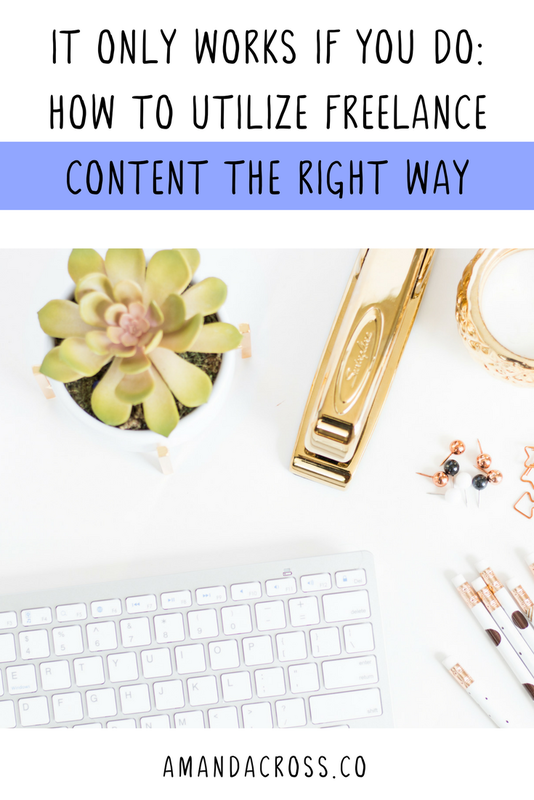 More than likely, your freelancer has already formatted their blog post in a scannable way, but if they haven't, you should go in and format the blog post. People are busy, and as of Q4 2017, mobile makes up about 50% of website traffic worldwide. When you are visiting a website quickly or via mobile, you want to get information in an easily digestible way. This is why all of my posts have a lot of headings so readers can easily scan to find what they want. I am all for long-form content (most of my content is 800-2000 words), but if you write long content, it has to be broken up. Always use headers to break up your text instead of bolded words. The H1 and H2 headers genuinely help create a distinction that bolded words just cannot manage. I have talked about this before, but putting your site on Google Search Console is SO important. Google is the world's most used search engine, so you need to make sure that it knows your site exists. Submitting your site to Google takes no time at all. I cover this topic in my SEO ebook if you want to take a look. Click here to open a popup where you can sign up for my ebook, or scroll to the bottom for a signup box. Next, to utilize freelance content, you want to add some shareable images and click to tweets. I always add at least my featured image and a Pinterest optimized image to my posts. If the posts are incredibly long, I may add one more picture to break up my text. For each post, I use the Wordpress plugin Better Click To Tweet to add at least two click to tweets throughout my article. This way readers can click those and easily share my post on their Twitter accounts. If you don't already have one, I encourage you to get a share bar on your site so your readers can easily share your content. Next, to utilize freelance content, you want to make sure that your work is connected to something else. Your work may be connected to your email list, to other posts, to a sales funnel, it honestly doesn't matter! Find those small ways to connect your audience to other content, to your email list, to a product, or anything in between. Going back to your goals, you want them to follow through on those goals. You need to keep them on your site long enough to do that, or you need to connect with them so you can get them to achieve that goal later. Now that your article is live, it's time to work on the post work! Here are a few things you can do to utilize freelance content once the article is posted. Don't be afraid to share your content in as many places as possible. You can't expect people to just come to your site as soon as you post something, you have to build an audience first! If you love a freelancer's content, put advertising dollars behind it. Do this the smart way, though, don't spend a ton of money for no reason! You may even want to hire someone who is excellent at Facebook Ads or Google Adwords to optimize your content. Before you advertise any content, you need to make sure that it leads to something. This is where the goals we discussed in the pre-work section and the connected articles we talked about in the before posting work section come in handy. If you don't have a goal for the content, you can't effectively advertise it. You also want all of your work to be connected to some other action (like content to keep reading or an email list to sign up for). When you are confident that you have all the pieces in place, you can put advertising dollars behind the content. Make sure that you have a Facebook Pixel installed on your webpage. This will help you create an audience of people who have previously visited your page, for Facebook to target in the future. This will save you a lot of money on Facebook advertisements because your audience will likely care more about your ads. HootSuite has an excellent explanation for the Facebook Pixel that you should check out. Once you have your content up for a while, you can continue to keep analyzing it for ways to make it better. Part of your routine should be updating, adding, and perfecting the content you have already put up to keep it current. You want your content to stay fresh and relevant for your readers. You can easily do this by keeping your old content as up to date as possible. Every quarter, you should make it your mission to check out past content and update anything that you can. With all of this in mind, you are finally ready to utilize the content that your freelancers create for your brand. Take some time today to update your freelancer content strategy. Are you doing all the work necessary to use your freelance content effectively? If you aren't, now is the time to update your content strategy so you can effectively use the content you pay for. I hope you found this post helpful as you build your content archive.